Of over 60,000 licensed attorneys in the state, selecting a NJ DUI attorney is not an easy task. After you get arrested for NJ DUI, you may start looking for a NJ DUI lawyer online, or through your social network, to defend your DUI charge. 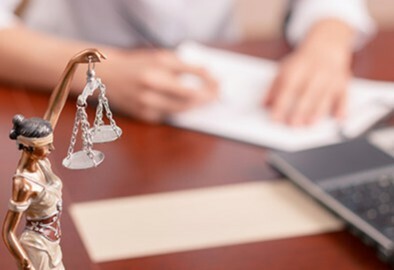 As we talked about in previous Blog articles (see “How To Choose the Best Lawyer for Your DUI Case”), choosing the right lawyer is the most important thing if you want to fight your charge. Let’s review some points of what we discussed. Here I share what questions to ask the lawyer when you are interviewing him/her. - Is the attorney willing to fight your case? Unfortunately, there are not many attorneys who stand up for their clients in defending a NJ DUI charge. It is often the case that after 2-3 times in court the attorney pleads the client “Guilty” without fighting at all. You can go to court and watch and see the reality yourself. - Does the attorney have the skills and ability to fight a DUI? When you are interviewing the attorney in person or over the telephone, you can ask him/her these questions to test their skills, ability, and commitment in defending a NJ DUI. - Has the attorney ever achieved “Not Guilty of a DUI”? These are quite straight forward questions. Just ask. Proven results tell us more than anything else. We have achieved “Not Guilty of a DUI” in NJ for many of our clients. You can view a list of successful NJ DUI cases at.